You are confusing income and revenue/turnover. They aren't the same. That said, there is no question that Juventus are the best run club in the country by miles, and it is far from mundane that they actually have been able to build a stadium in contemporary Italy. Yeah, I was sloppy with the terminology there. 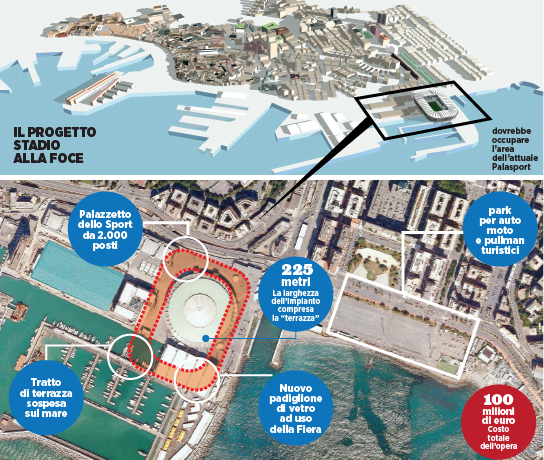 We've discussed Serie A team owners and their love of grandiose plans for (unrealised) new stadiums before of course. Some lovely physical scale models have been produced in the past as well. I seem to remember Sampdoria unveiling an impressive seafront example to local journalists, complete with yachts and jetty. Modern 3D rendering software has largely killed this grand tradition - which is a pity. The location is right but the stadium design I remember (vaguely) must have been from an earlier proposal, and bore more similarities with the Stadio Luigi Ferraris. This would have been well over a decade ago now. If the dream is to become reality I know of no man more capable of dealing with Italian municipal bureaucracy than yer man Massimo Ferrero. Sassuolo vs Chievo has just kicked off on Freesports. Live. 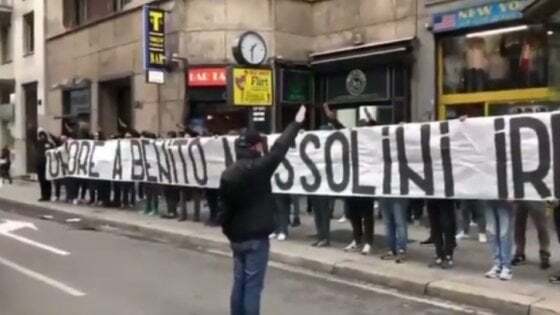 Lazio ultras managing to find time during their visit to Milano for the Coppa semifinal to unfurl a "Honor to Benito Mussolini" banner accompanied by Fascist chants and salutes a few blocks from our old flat (and even closer to the location where the man in question was strung up). Lazio nyaffs make Rangers WATP types look cuddly.